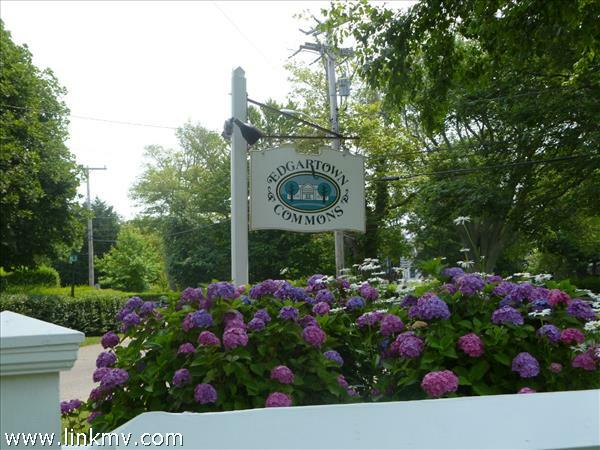 EDGARTOWN VILLAGE - Condominium living! A delightful one bedroom, one bathroom corner unit located on the 2nd floor, being sold fully furnished and with solid rental history. Edgartown Commons is a seasonal 35-unit complex in downtown Edgartown open from May through October. The Association enthusiastically promotes rentals, managing and operating the entire facility, making this the perfect investment property. Edgartown Commons common areas - pool, bathhouse with shower, playground, picnic and grill areas and free parking. Fuller Street beach, the Harbor, shopping and restaurants are all within walking distance. What could be better! NOTE: Edgartown Commons was voted runner-up in MV Magazine's Best of the Vineyard 2017 contest for Best Budget-Friendly Lodging.